CBSE 10th Board Time Table 2019 is announced by CBSE Board. The exams of the vocational subjects have started from tomorrow i.e., 21 February 2019. The Central Board of Secondary Education (CBSE) released the Class 10 and 12 Board Exams Date Sheets on 23 December 2019. 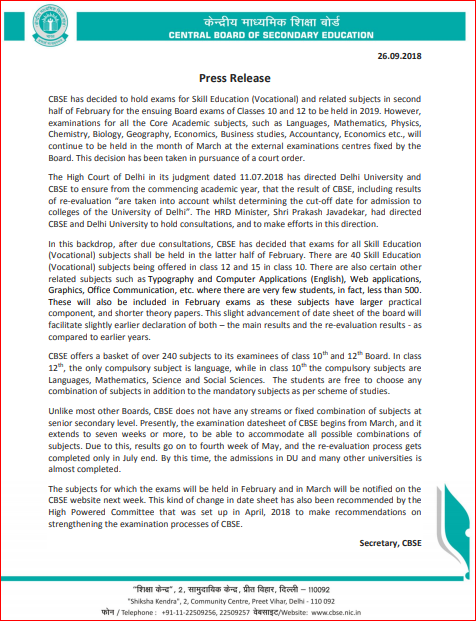 Also, the CBSE Class 10th Board exams are starting from 21 February 2019 and ends on 29 March 2019. 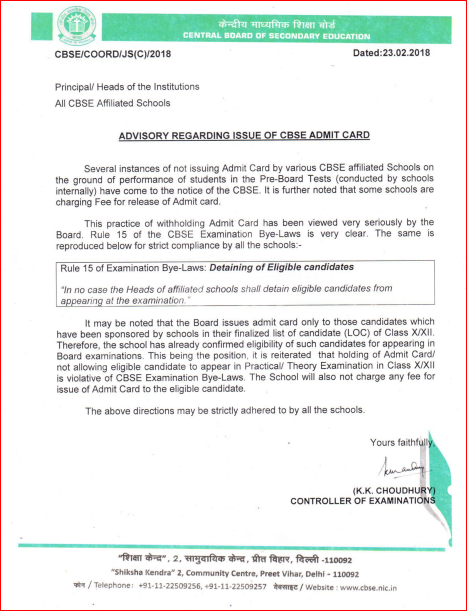 CBSE has also released the Admit Card for class 10th and 12th. The Central Board of Secondary Education conducts CBSE 10th Class board exam pan India. CBSE is also responsible for standardizing the syllabus and curriculum in all the CBSE affiliated schools. CBSE is the largest board in India having affiliated schools all over India. Lakhs of students appear in the CBSE 10th Board Examination. CBSE 10th Class Examination Date Sheet 2019 is declared on 23 December 2018. Download the official date sheet attached below. 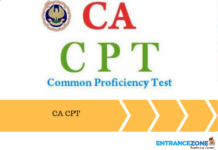 How to Download the CBSE 10th Timetable 2019? CBSE released a circular and decided to extend some relaxations to the wards of armed forces, Military and Para Military Forces. The vocational subject exams will begin from 21 February 2019. CBSE opens the link for downloading of Admit Cards/Centre Material for Class XII & X examination 2019. The schools will be able to download the admit cards in respect of their students from 30 January 2019. 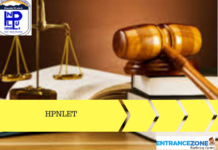 Private candidates can download the admit card from CBSE private candidates portal. Central Board of Secondary Education (CBSE) released the roll no for class 10& 12 students who will be appearing for the CBSE Board Exam 2019 to be held from 15 February 2019. CBSE Textbooks to Get Thinner, NCERT to Reduce Syllabus by 10-15% from 2019. General Strike may hit engineering & medical exams on 8-9 January 2019. CBSE To Allow International Sports Events’ Participants To Take Board Exams Later In Case Of Timetable Clash. The Board Date sheets are released by CBSE. The official date sheet and the link is available below. Also, Parents, students are advised to stay away from any rumors and keep watching CBSE official website for any updated information. The examination will be finished in 30 days instead of 45 days. In the 2018-19 session, 8 lakhs students enrolled for the 10th board exam. Last year, CBSE had declared the class 10th examination results in June. The list of vocational subjects examination to be held in February 2019 is given below. CBSE 10th Board Time Table 2019 Practical, as well as Board Exams, is announced on 23 December 2018. Board has uploaded the Sample Paper and Marking Scheme of 10th and 12th classes. CBSE 10th Exam or Paper Pattern has been changed. 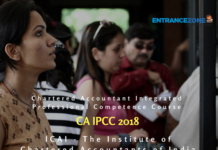 Candidates can check pattern here. 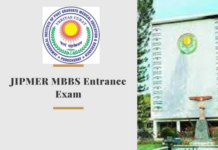 CBSE 10th & 12th Board Examination 2019 date sheet is announced on cbse.nic.in. Registration Process for CBSE 10th and 12th class has been started from 16 October 2018 for February exam. CBSE छात्रों को अब मिलेगी बड़ी राहत, 33% नंबर पर पास हो जाएंगे आप. CBSE class 10th students will have to secure overall passing marks all together in theory, internal assessments. The board exam for CBSE 10th & 12th Vocational Subjects May starts from February 2019 to reduce the examination period from 7 weeks to 4 weeks. 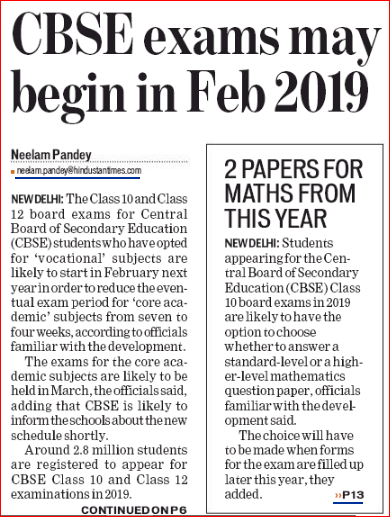 CBSE may conduct 2 papers for class 10th Maths from 2019 i.e. Standard level or a higher level mathematics. Central Board of Secondary Education also plans to revamp the paper pattern from the next session. As per news, around 2.8 million students are registered for 10th & 12th Board Exam. 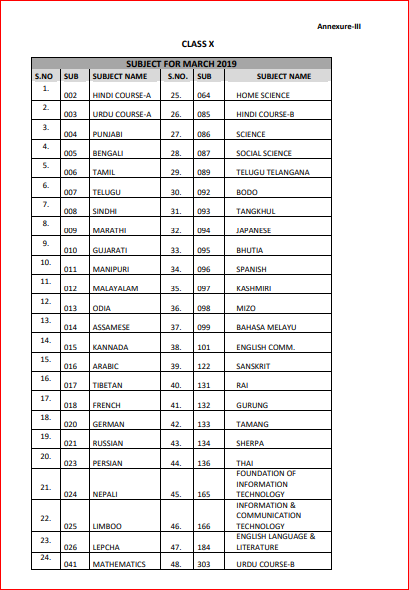 The list of class 10th subjects examination to be held in March 2019. CBSE Head Quarter: New Delhi. Class 10th Board Start Date: Thursday, 21 February 2019. 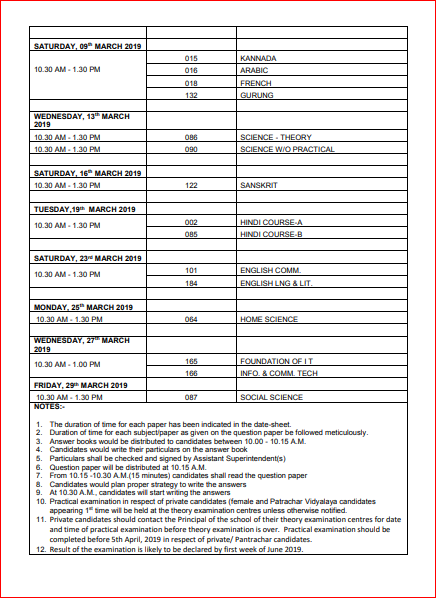 Last Date of CBSE 10th Class Board: Friday, 29 March 2019. Language: Hindi and English language. Links available for: time table, Admit card, roll number, syllabus, and results etc. 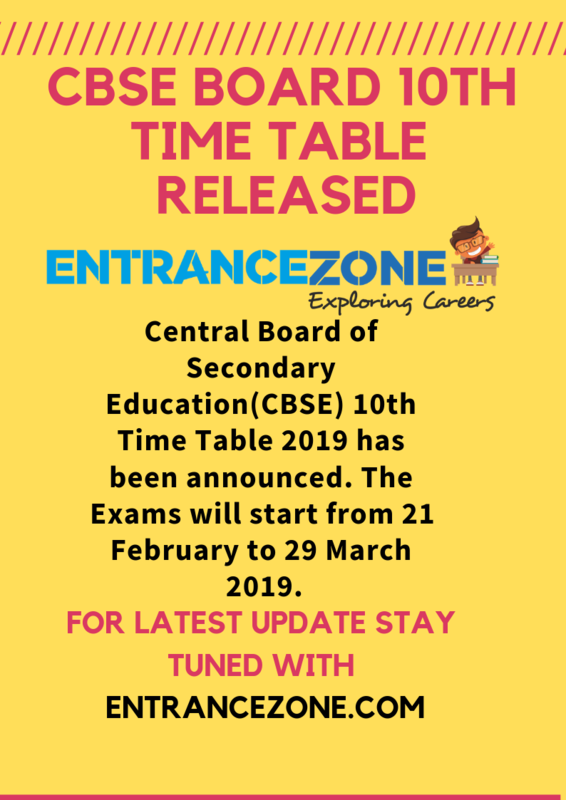 Note: The Central Board of Secondary Education publishes CBSE 10th Board Time Table 2019. 10th Date Sheet 2019 is released by Board. 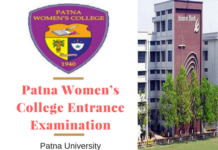 Exam starts on 21 February 2019 and ends on 29 March 2019. Download Complete schedule here. The link to the official page is given here for reference. Candidates can visit this page for further confirmation. Download the CBSE 10th Date sheet Below. 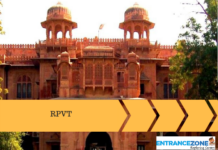 Also, check the polytechnic and jee main preparation material here. 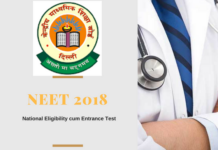 CBSE 10th Date Sheet 2019, CBSE Board 10th Class timetable 2019 @www.cbse.nic.in, Delhi board 10th Datesheet 2019, CBSE Exam Scheme 2019, CBSE 10th Exam Routine, CBSE exam date 2019 class 10, CBSE 10th date sheet 2019. Search for official website www.cbse.nic.in for results on its official website. 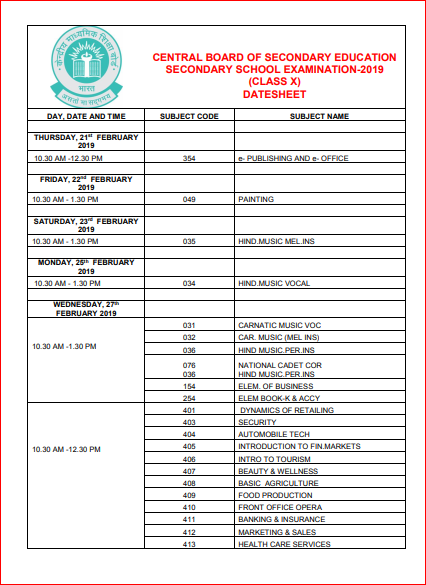 Then look for Timetable announcement in the examination section and select Secondary Exam March 2019 Datesheet. Now “CBSE 10th Board Timetable 2019” is available on the screen. Candidates are advised to take print out or download it for future reference. Download CBSE Class X Date Sheet 2019 PDF Here. Central Board of Secondary Education, CBSE has released a circular to all the CBSE affiliated schools, stating the date sheet or the monthly schedule of activities that schools have to conduct for the upcoming 10th & 12th Board Examinations 2019. As 10th class students would be giving the board examinations after a gap of 8 years. As CCE pattern was started in 2009 and students were assets on the basis of grades. So, Students who had failed in 10th class board examination last year would also be writing the revised 10th Board scheduled in 2019. Click Here> for CBSE New Pattern. The Schedule/routine/scheme/timetable/date sheet for CBSE 10th Board has been released in December 2018. The Central Board of Secondary Education will conduct the final 10th board examination in March onwards. Furthermore, the board declares such information about datasheets on the official website. The link to the official website is given below. Visit the official website to know more. The Board released the CBSE class 10 board exam practical schedule on 08 December 2018. As per the notification sent to all the CBSE schools that board practical examinations for class 12 and 10 should start from 16 January 2019. And marks for practicals must be uploaded on the website by 25 February 2019. 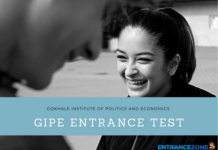 The Joint Entrance Examination was conducted by CBSE every year for candidates aspiring for undergraduate engineering courses in premium institutes i.e. IIITs, NITs, CFITs etc. 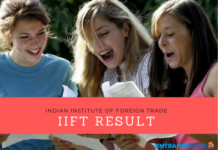 Around 14 lakhs students appear in this first stage exam for IITs engineering admission. From 2019 onwards National Testing Agency will conduct JEE Main in place of CBSE. Also, check CBSE 12th Time Table 2019. The examination schedule is important for appearing students. As this helps in preparing a preparation plan. And well-organized candidate plans for revision in between the examination dates also. The Board will publish the notification regarding schedule in the month of December. And Examination will be held in March & April, the dates are yet to be released. As soon as it will be uploaded to the official website, we will update it here and subscribed candidates will get a mail regarding the same. The admit card for 10th board students has been released in the month of January onwards. 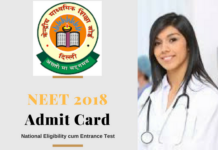 CBSE issued an advisory notice to all the affiliated schools regarding the issue of CBSE Admit card and advised all schools that not to detain any eligible candidate from appearing in practical or theory examination. CBSE released a notification to all the schools affiliated to CBSE board and participating in board examination from 15 February 2019. Exemptions Provided: S=Scribe, E=Extra Time, A=Assistive Device, L=large Font, P=Adult Prompter. 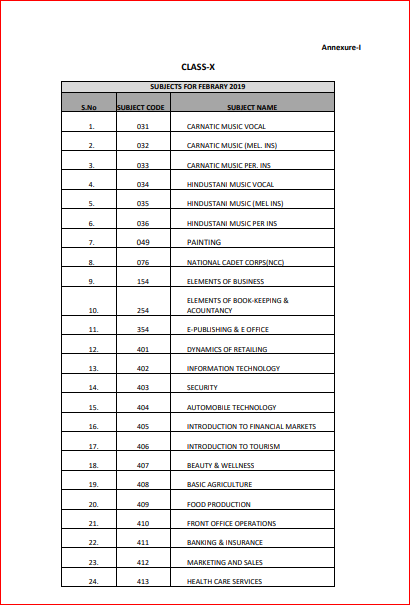 Subjects in which appearing with the date of examination. CBSE announces the 10th Class result in the last week of May 2019 (Expected). 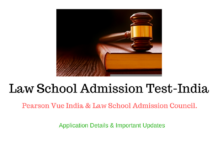 Delhi High Court directed the CBSE and Delhi University to align the dates with the result and DU cutoff. The CBSE 10th Result will be announced in May 2019. The CBSE Board allowed 9 students who are participating in international competitions to take their Board exams later. As per the recent circular issued to the schools on 26 December, The board mentioned that it had decided to make it a policy and extend such facilitation hereon to all such sports students whose CBSE board exams clash with their participation in Sports Authority of India (SAI) recognized international sports. Such students can request/inform the CBSE regional offices in writing along with SAI recommendations by 31 January. The Central Board of Secondary Education, Delhi was formed on 03 November 1962 and functions under the central government of India. More than 28 lakh students appeared for class 10th and 12th board examination in 2018 at various test centres across India and abroad. Furthermore, around 16.3 lakhs (1638464) students registered for examination whereas 16.2 lakhs (1625967) students appeared for examination from various Region. 1. When CBSE Will Release the 10th class Board Time Table 2019? 2. Which is the Expected Month of Board Examination? 3. From where we can Download the Central Board of Secondary Education CBSE 10th Class Date Sheet? कहाँ से हम केंद्रीय माध्यमिक शिक्षा बोर्ड सीबीएसई 10 डेट शीट डाउनलोड कर सकते हैं? 4. What are the Passing Marks in Class 10th? 5. How CBSE will Notify the Students about Date Sheet? Will Board Notify the Students about Date Sheet through News Papers also? 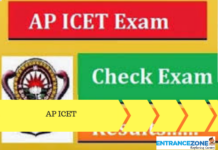 10th board exam time table 2019 cbse, 10 exam time table 2019, cbse time table 2019 class 10, cbse 10th exam date 2019, cbse 10th date sheet 2019, cbse board exam date 2019 class 10. Stay tuned for all the Central Board of Secondary Education Here. Hello Mohini, Please follow this page, as soon as cbse release the date sheet we will update and link here. Plplzzz give the timetable of class 10 as soon as possible its december now…..
Plz give us exam date as soon as possible…I am waiting for it. How could I know when the timetable is released???? Plzz provide us the date sheet as soon as u can……… We have to prepare according to it …..
Plzz tell us date sheet of 2018 examination cz we have to prepare for it soon..
Pls do not start exams from 5 March …My sister marriage will be on 5 March ..Humble request from u…pls…pls..pls..
Sir, my compartment exam application last date was over. What to do? (sir I am village student so,not able to know the last application date).please help me sir.immediately. Fuĺl syllabus is very tough so plz….. every thing to GOD…. Please declare time table at the earliest. Please let me know when did exam will conducted. 1st day maths aur 2nd, 3rd, 4th,5th,6th ???? 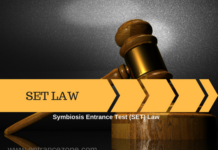 When will practical exam of class 10th in cbse board will start…? Please tell us now exam date because we cannot wait…………. very less gap for Science why? Date sheet is okie for me. Class 10 me isse jyada gap chahiye b nhi. Me Date sheet offcial or Eduncle pr b dekhi thi. Mujhe Gap thik Laga. WE GET 0UR DATESHEET. LET STUDY NOW . ITS STUDY TIME. Plz gave us easy papers so that everyone get pass . Plz give us routine as soon as possible and plz gave us simple questions so we all have to pass easily and one more request I have that is… Plz give us gap between 5 to 6 days plz …. This is all our humble request to you..
Pls give board exam time table as soon as possible si that we can prepare ..
Is there any implementation in Maths paper regarding standard or high-level question paper for class 10 session 2018-2019? How the options may be given for standard or high level for math? 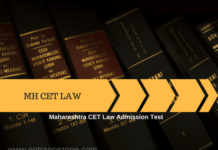 When the CBSE 10th 2019 examination will held.? What is the concept about pre-board? plz. upload the datesheet for class 10th board examination for 2018-19 either tell when music/physical/sanskrit exam would be held. exm s cmng n Feb…. 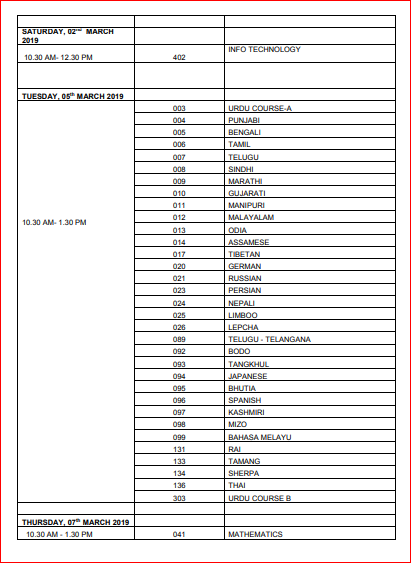 Is the date sheet released now that is the exams starts from 05 March 2019 is comformed one or the expected one!!! The exam starts from 05 March 2019 is confirmed or not?? Piyush – kindly download official date sheet given here and at the official website of CBSE.